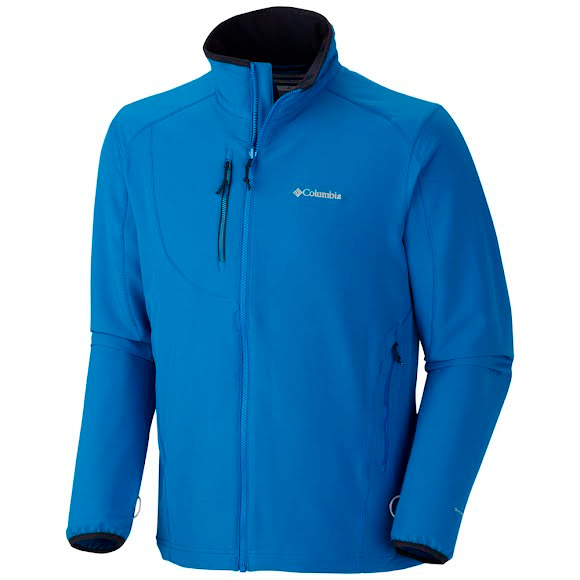 A hardworking softshell, Columbia's Evap-Change Softshell Jacket helps you stay dry inside and out: with our Omni-Wick EVAP compound disperses moisture to evaporate quicker than a traditional softshell lining fabric. Ample pocket options keep your gear stored on the go and keep you moving. Interchange compatible. A hardworking softshell, Columbia&apos;s Evap-Change Softshell Jacket helps you stay dry inside and out: with our Omni-Wick EVAP compound disperses moisture to evaporate quicker than a traditional softshell lining fabric. Ample pocket options keep your gear stored on the go and keep you moving. Interchange compatible. Omni-Wick Evap is the next evolution in advanced wicking technology. Columbia cranked up the performance of their existing Omni-Wick platform by incorporationg state-of-the-art technology to create a fabric with incredible sweat dissipating properties. Measurements Center Back Length: 27 in.